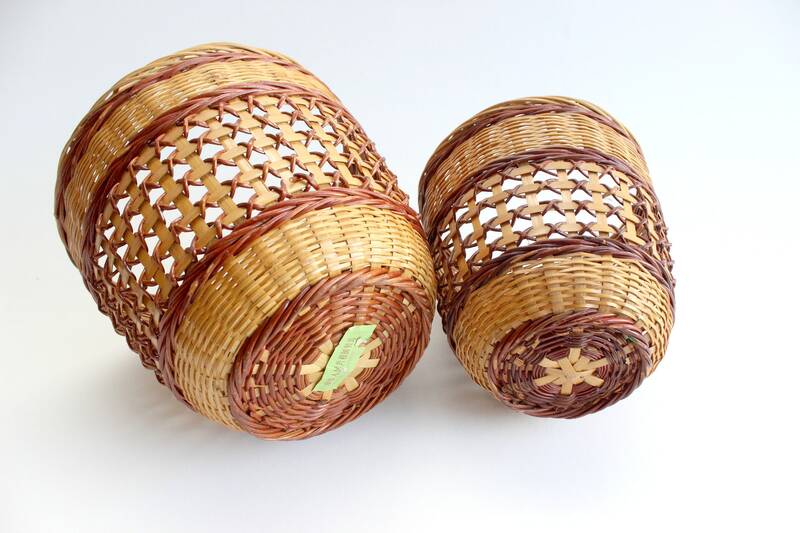 Pair of 2 - Vintage Chinese baskets. 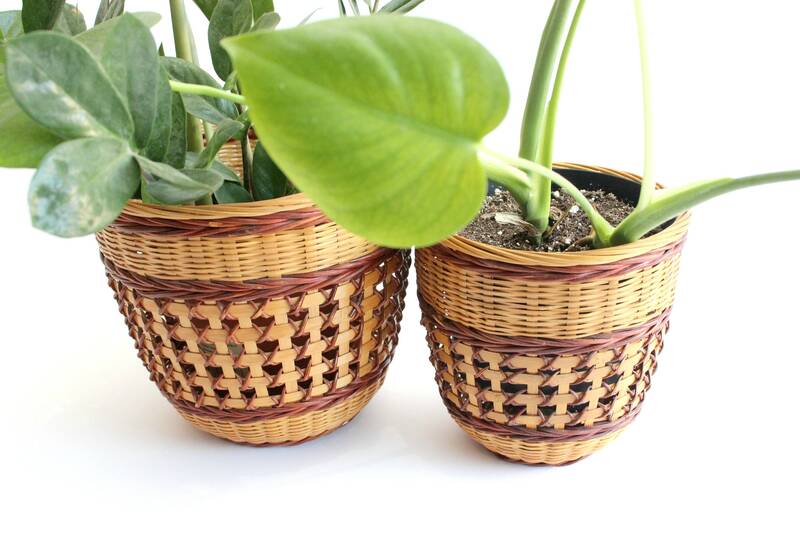 Woven bamboo and wicker baskets. Two toned color pattern. 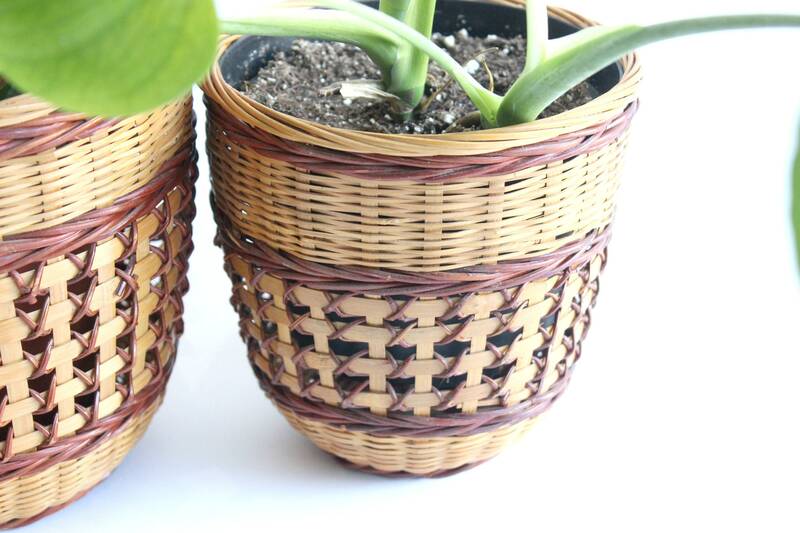 Baskets match in design but one is slightly larger than the other. 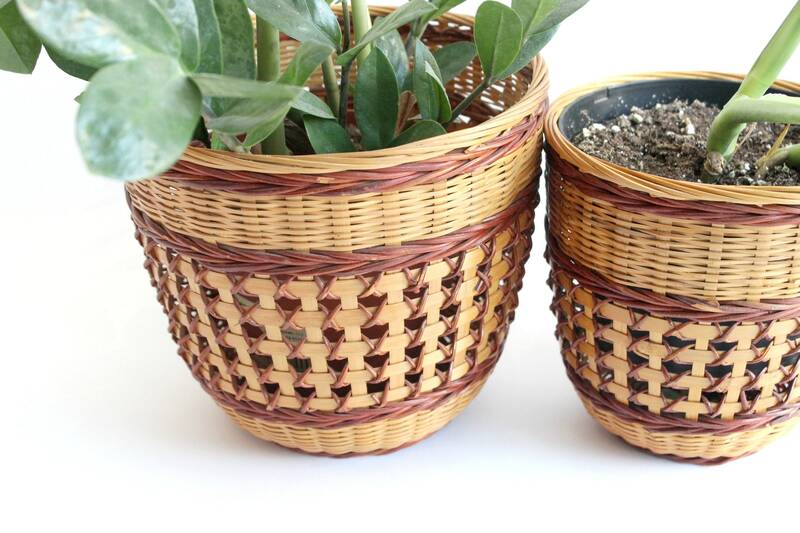 These round baskets make perfect indoor planters. 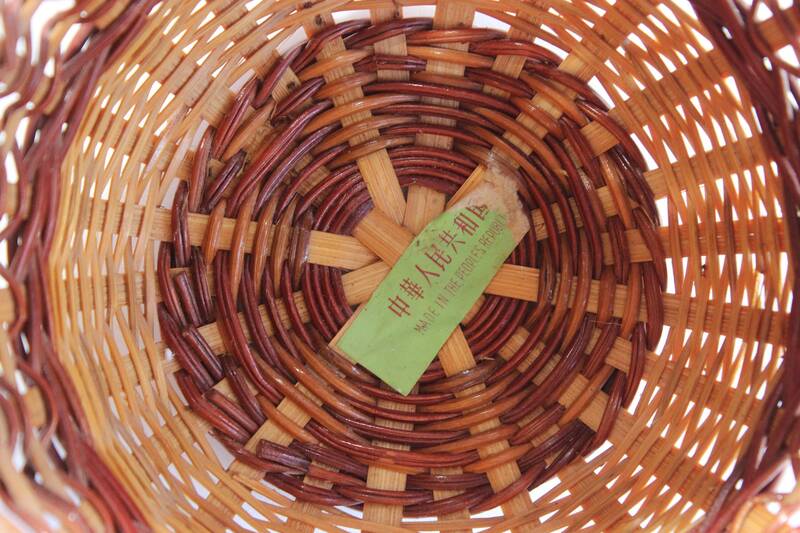 Original stickers attached, "Made in the People's Republic of China." Good vintage/used condition. 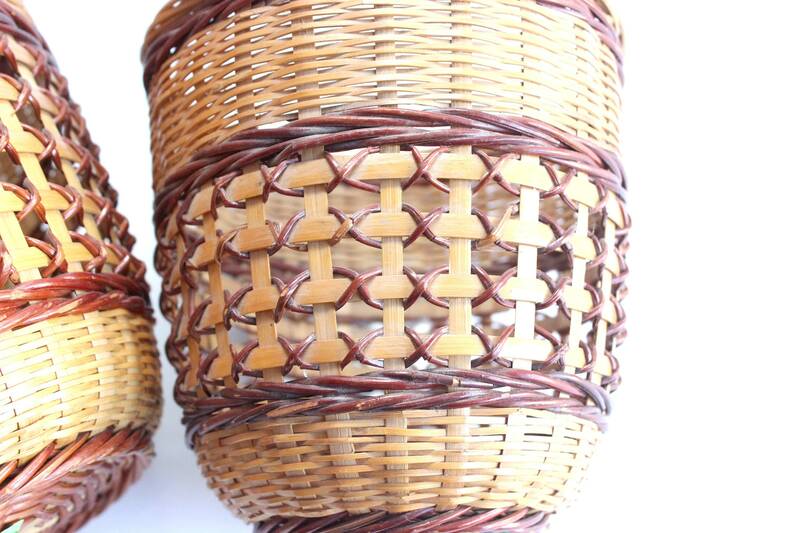 Wear and tear consistent with age. 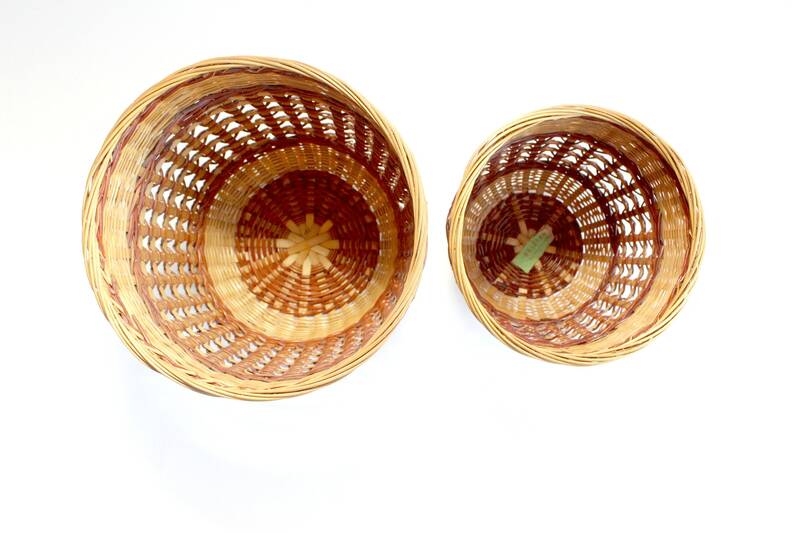 Larger basket measures 8.5 inches wide and 7.5 inches tall. 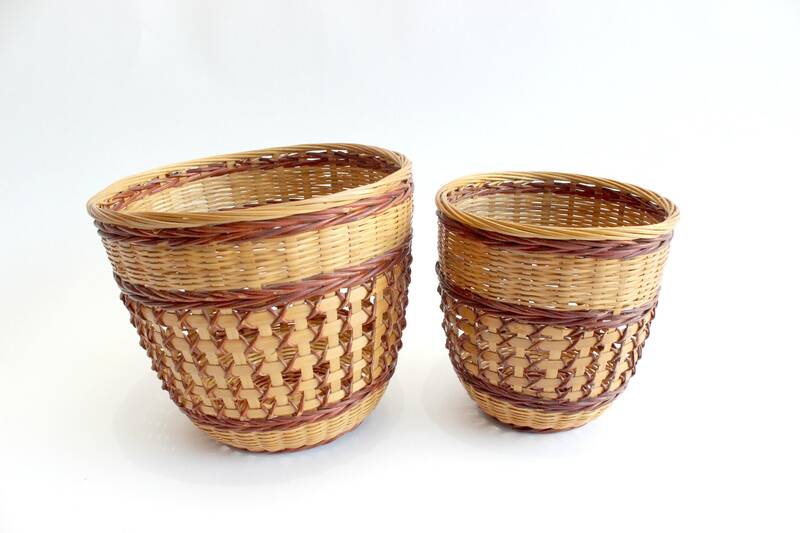 Smaller basket measures 6.5 inches wide and 6.5 inches tall.